« Trivia Night Benefitting the Foundation! 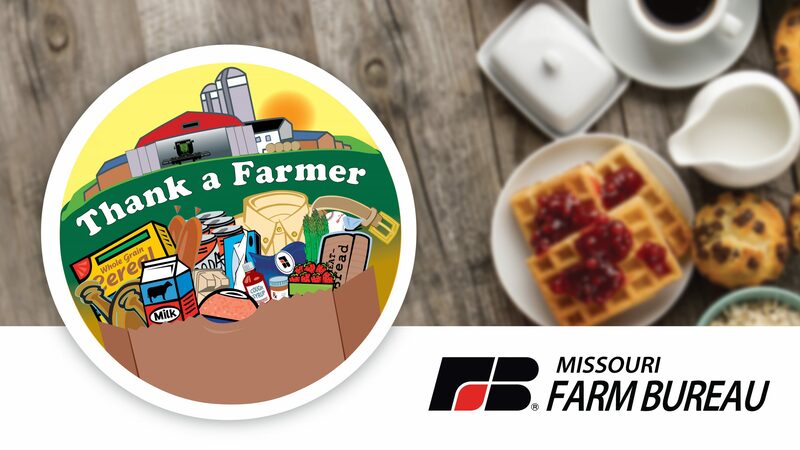 Thank a Farmer Week is a celebration of the U.S. food supply as provided by America’s farmers and ranchers. Within the first two months of the year, the average American will have earned enough income to pay for their annual food supply. It takes until late April to earn enough to pay for local, state, and federal taxes. Despite increases in early 2009, food prices have stabilized and in some instances dropped. Much of the increase was related to the escalating cost of energy. Remember the crude oil price topping $140 per barrel impacting fuel prices? Add increased labor costs of approximately 19% to the mix and it all trickles down to the consumer in higher food prices. Of every retail dollar spent for food, 81 cents goes for marketing expenses. This includes processing, packaging, wholesaling, distributing, transporting, and retailing food products. The remaining 19 cents goes back to the farmer who uses it to pay for operating costs in providing raw products for food. The farmer’s share is used to purchase farm equipment, fertilizer, fuel, seed, feed and other input costs. Thank a Farmer Week is an appropriate time to ‘thank a farmer’! As a career, they have chosen to spend their livelihood providing food and fiber for our nation and abroad.